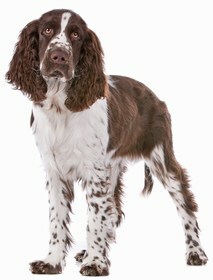 The Springerdoodle is a hybrid breed of the Poodle and the English Springer Spaniel. This breed has some major health concerns that you need to know about and be on the lookout for. It is possible to avoid many of these conditions simply by choosing to work with a reputable and trustworthy dog breeder. Some of the conditions to be aware of include bloat, hypothyroidism, patellar luxation, eye problems, Cushing’s Disease, Addison’s Disease, Von Willebrand’s Disease, Legg-Perth’s Disease, and PFK deficiency. Your Springerdoodle may suffer from bloat and this is a serious condition that can quickly turn fatal. This condition occurs when too much gas or air enters into the stomach, which causes it to expand and place pressure on the organs surrounding it. Vets often refer to this condition as swallowing too much air. Hypothyroidism can occur in your Springerdoodle and will lead to problems with him or her gaining too much weight or not enough weight. This condition affects the way that the thyroid works. Your vet will likely place your puppy on a special diet and prescribe medication to control the issue. Knee dislocation or patellar luxation occurs in Springerdoodles and may catch you by surprise. When the knee is dislocated, your puppy may hold up his or her leg. This is a painful condition and can cause lameness in the limbs. It is not uncommon for your Springerdoodle to develop an eye condition. There are many eye conditions out there, so you should way attention to your pup and notify your vet if any problems arise. Common conditions include cataracts, eye infections, retinal atrophy, etc. Cushing’s Disease typically occurs in older dogs, so you do not need to worry about it as much with your young puppy. This condition occurs when there are low cortisone levels within your pup’s body. Your Springerdoodle may have Addison’s Disease, which occurs when there are not enough corticosteroids in your pup’s body. The number of corticosteroids is regulated by your pup’s adrenal gland. When the adrenal gland is not functioning correctly, your Springerdoodles body also cannot function properly. Von Willebrand’s Disease is an inherited blood disorder that happens when the platelets do not have the right proteins in them and cannot form a clot. Legg-Perthe’s Disease occurs when the head of the femur bone starts to degenerate. 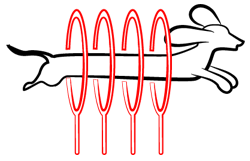 This can cause pain and inflammation of the bone in your Springerdoodle’s limbs. 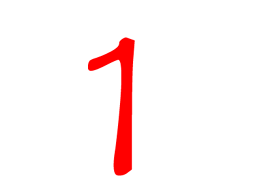 Lastly, your Springerdoodle may suffer from PFK which is a genetic disease that is recessive. This disease will prevent the body from being able to turn glucose into energy. The Springerdoodle has a life expectancy of 10 to 15 years. 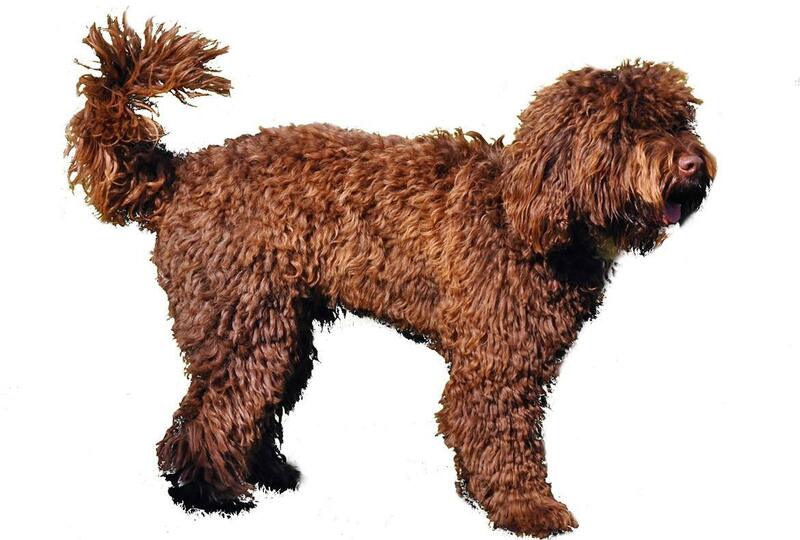 The Springerdoodle is considered an entertaining dog with a lovely personality. In fact, many people have said that their Springerdoodle provides them with hours of laughs, as he or she loves to clown around in the home. While he or she may put on a show, do not let this confuse you. The Springerdoodle is intelligent and loves to explore when allowed to. This independent pup can be quite confident when you are around, but will often become nervous and anxious when left alone for any length of time. 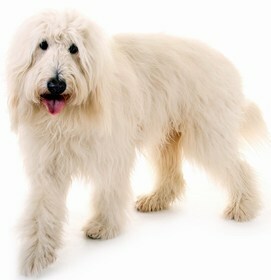 Your Springerdoodle is going to be wonderful with your children and makes a great family pet. This breed has a high activity level and therefore does not make a good apartment pet. In fact, you will need to provide your dog with mental and physical stimulation, as well as a walk a day. The Springerdoodle is considered to be a loyal dog and will work hard to please his or her owner, which means training comes easy too. Your puppy will respond to your commands and work hard to please you the best way he or she knows how. You should try to avoid being stern with your puppy, as this can cause him or her to become stubborn and not respond to your harsh tactics. If you give your Springerdoodle a lot of attention, he or she will return the favor and you and your family will be happy with this new addition to your home. The Springerdoodle needs a bit of grooming, but nothing too difficult. 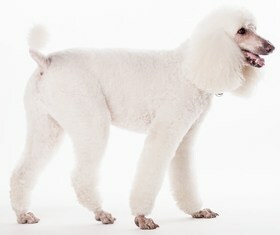 If the coat is similar to the Poodle side, then your pup will need to go to the groomers every few months to get clipped. If your pup has a coat more like the English Springer Spaniel, then you will only need to brush him or her three to four times per week. You do not need to bathe your pup on any set schedule and should only do so when it is absolutely needed. You should clip your puppy’s nails monthly and clean his or her ears once per week. Your Springerdoodle will eat anywhere between 1 1/2 cups to 2 1/2 cups of food per day. You should only feed your puppy a quality food that can keep up with his or her nutritional needs. The food you choose should contain natural ingredients and also be made with real ingredients. Be sure to avoid foods filled with chemicals or by-products. A Springerdoodle puppy will cost you anywhere between $500 and $1,900. You need to factor in other costs to include annual veterinarian checkups, vaccines, required preventative treatments, food, and even food supplies. These additional expenses can cost anywhere from $500 to $2,000 annually. Ranking takes into account a few basic factors including cost, skill level needed, high vs low maintenance and how critical regular training is to success. The Springerdoodle is a loving and loyal pup that will provide you with many hours of laughs and fun as the two of you create your own adventures together. This pup is easy to train, which is a relief for those who may be new to dog ownership. This breed ranks a 1.